During Tuesday’s Tesla shareholder meeting, CEO Elon Musk said the company would never develop motorcycles because he almost died while riding one when he was 17. 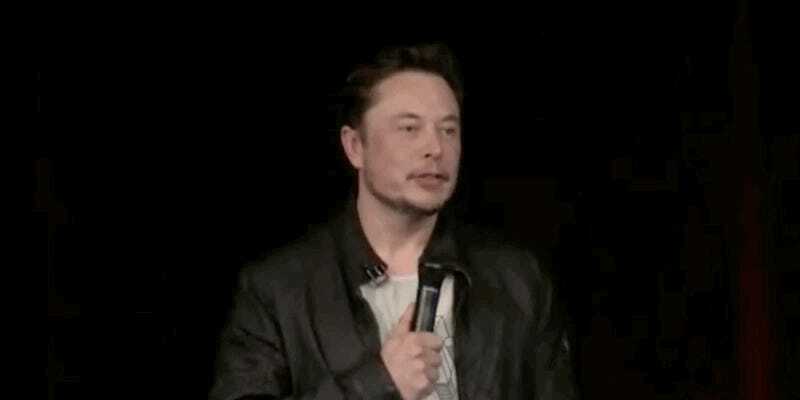 During the meeting, a member of the audience complimented Musk on his leather jacket and asked if Tesla was planning to develop motorcycles in the future. Musk responded with a story about how he rode dirtbikes growing up for eight years. He said he also had a streetbike until he was seventeen, when he was almost hit by a truck and killed, presumably stopping his riding habit. It’s a shame, because motorcycles are a logical application of electric vehicle technology, with a bunch of startups getting into the game, and even Harley Davidson investing in EV development. One has to wonder, though, that if the future of cars are autonomous and hopefully safe, as Tesla is attempting to will into being with Autopilot, what danger is there in riding a motorcycle on the street? I guess we’ll just have to get our EV bikes from somewhere else.